Music Together® Babies Classes are the perfect chance to nurture a child's growth and music development within their first months of life. A born "sounder" and "mover," your baby is born with the potential to make music - we seek to build on that potential in class! During this one-semester introductory class, activities such as "purposeful touch" and "sound layering" are utilized with our song collections to teach families how to support music development. 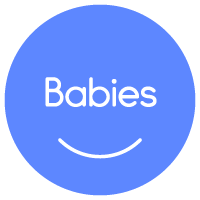 Babies Classes are for newborns and infants up to 8 months.